Over the past year or so, it seems fashion and beauty events in the North West of England have doubled or even tripled in number, and this can only be a good thing. This corner of the country has been steeped in fashion history for centuries, and we need to regain some of the shine from London. We can be loud, exciting and we always make an effort. 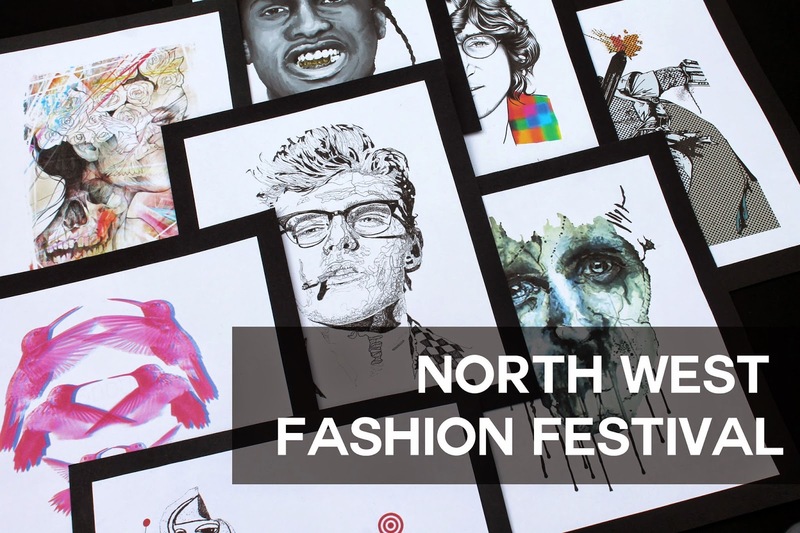 This weekend, I attended NWFF and I have to say, it was the best local fashion event I have ever been to. It was held in the palm house in sefton park, a grand venue which believe it or not I've never actually been to. It was lovely to be surrounded by so many pretty flowers, and the models of course. You see these prints? These are all done by individual artists and are then printed onto t-shirts by Tee-co tees, a sick new start-up you should all take a look at. The prints are so unusual, my favourite was one of Dorothy crying what can only be described as green slime. Sounds weird but trust me. Throughout the day, hundreds of ticket holders had the chance to browse the stalls of local boutiques and MUAs, eat and drink at the pop-up bars around the venue, be entertained by dance troupes and singers, one of whom, Jessica Steele, used to be on the voice and there was also a boyband called Stateside who had hoards of screaming girls waiting for them at the gate. I'm not exactly down with the kids so I can't elaborate much on that, but I can talk about the fashion all day long. I actually snapped a few stylish people around the venue and will be doing a streetstyle post sometime this week, so keep an eye out for that! I got the best spot in the house for the second round of the fashion show, featuring designs from Patty Fashion, Mode Mwah, Didi Boutique and Ku Spendlove. Ku Spendlove had to be my favourite collection, showcasing genuine talent and creativity, which can unfortunately get a bit lost in the world of samey samey eveningwear. My favourite stall had to be from The Cotton Patch, with beautiful pieces embellished with feathers and pom-poms to be worn day or night. I fell in love with a pair of pom-pom covered denim shorts and a black feather collar. I got chatting to the founder who was absolutely lovely, rocking the faux fur even in 20+ degree heat, and I left feeling so inspired. She started her business just 4 months ago and is doing so well that she is now able to dedicate her life to her work, travelling the country, covering us in pom-poms and feathers one garment at a time. What do you think of these gorgeous creations and which is your favourite? Keep an eye on chic networking for the next event and I hope to see you there!